Newfoundland and Labrador is the easternmost province of Canada and consists of the island of Newfoundland and the mainland Labrador to the northwest. The weather varies throughout the province and, while the island has a cooler climate, the continental portion is more humid. Human habitation of the area can be traced back as far as 9,000 years and the local tourism industry started expanding phenomenally in the late 1900s. With several sites throughout the province and various hotels, motels, resorts and hostels in Newfoundland and Labrador, visitors can choose the right accommodation in Newfoundland and Labrador for their needs. By making your Newfoundland hotel booking online and booking a rental car at the same time, you can save a fair amount on your travel expenses. 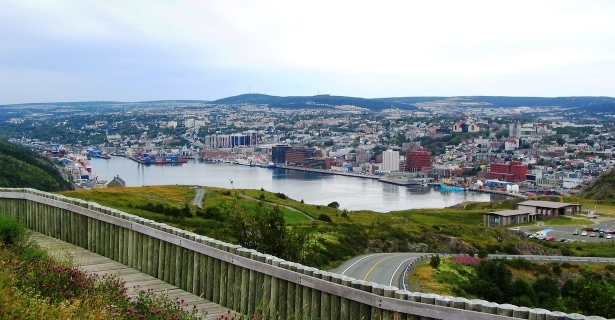 The capital of this province and its largest city is St John’s. Many of the cheapest hotels in Newfoundland and Labrador are located here and there are several sights and attractions nearby as well. A trip along the East Coast Trail is perfect for some of the most spectacular views. If you leave your Newfoundland hotel room early enough, you can enjoy the sunrise and take your time enjoying a cup of coffee too. Signal Hill and the Cabot Tower built at the highest point also attract many visitors each year. The entire province is filled with natural sights and great places for hiking. The Gros Morne National Park in Rocky Harbour is filled with spectacular lake and mountain views while the Skerwink Trail in Port Rexton is ideal for spotting ice bergs and marine life such as whales. If you pass through or plan to visit Deer Lake, don’t miss out on the Newfoundland Insectarium. It is particularly entertaining for the kids and will help them have fun while learning about some of the most fascinating creatures. The Petty Harbour Mini Aquarium is also great for younger visitors and will let them get a closer look at some of the ocean’s most interesting inhabitants. The L’Anse Aux Meadows National Historic Site is the most famous Norse (Viking) settlement in North America, apart from Greenland. The settlement was discovered in 1960 and is one of the province’s biggest tourist attractions. Throughout the province you will find various forms of entertainment. From dinner theatre at the Rising Tide Theatre in Trinity to the Garrick Theatrein Bonavista, there’s something for everyone in this fine Canadian province. Each town and city has its fair share of pubs, restaurants and bars too. The locals are wonderfully hospitable and will be more than happy to help you find the best places in town. The local speciality shops include those which stock delicious chocolates, superb art and even locally made crafts. Whether you are shopping for something specific or simply browsing, the local stores are certainly worth exploring. If you are planning on purchasing any perishables, you should probably wait until your final day or at least your second last day on holiday. Why clutter your Newfoundland hotel room when you can set aside a certain day for all your shopping needs? Don’t forget about the fabulous tours offered by local guides too. Many of which are boat tours and allow you to get an even closer view of the icebergs and some of our great ocean’s giants. Check with your Newfoundland and Labrador hotel accommodation information desk about the best tours in the area.